Solar Panels really can look this good. 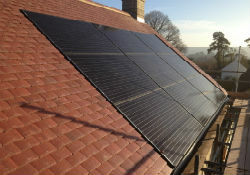 In-roof Solar PV panels replace your tiles to sit neatly within the roofline for a slimline, elegant look. Viridian Solar make some of the most aesthetically pleasing solar panels on the market. Their matching roof-integrated Solar PV and Solar Thermal modules can be fitted together, and can be interlocked or sit separately to give the appearance of a skylight. 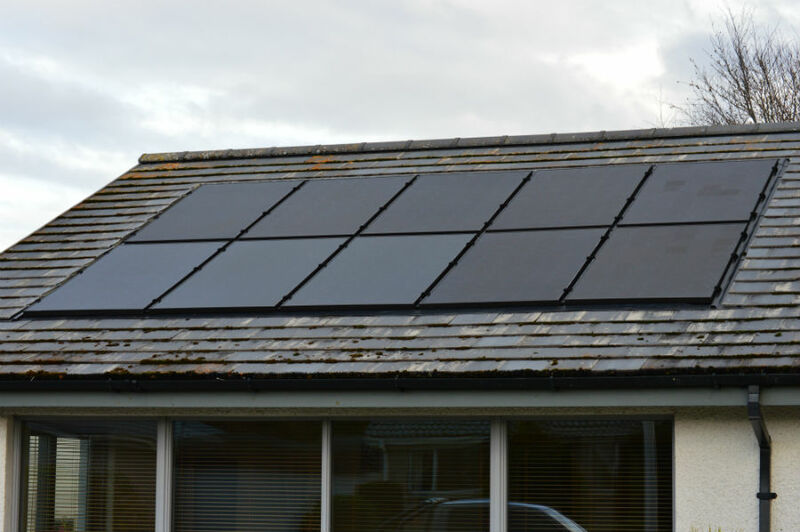 The slimline, ultra-strong design of these Solar Panels from Viridian means they can be fitted in-roof for a discreet Solar array that works in harmony with your property. 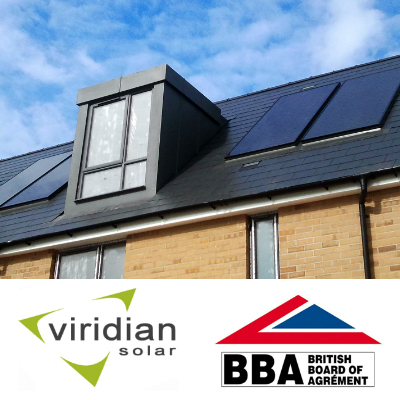 Viridian’s Clearline Solar Panels have been awarded the BBA certificate for approval as a building material. This makes them popular with architects and self-builders as they are not only an elegant solution, but as reliable as any other certified roof finish. To find out more about Viridian solar panels for your property, call 0845 871 3181 for free advice, or find your nearest EnergyMyWay. Your local specialist from EnergyMyWay can advise you on our range of in-roof Solar Panel systems. Roof-integrated Solar Tiles like these ones can be matched with many conventional tiles to suit homes of any age and style. 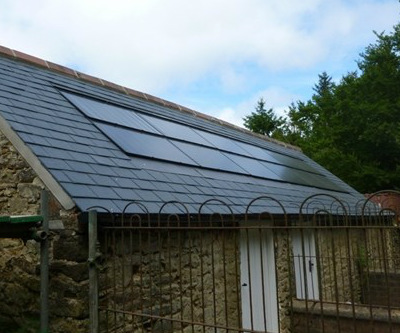 They can be integrated with existing slates, or can be used to cover a whole roof for maximum output and a seamless finish. Talk to your local EnergyMyWay specialist for advice on your options for roof integrated Solar Panels. Solar Panels capture solar irradiation and convert it into free, green electricity for your home. 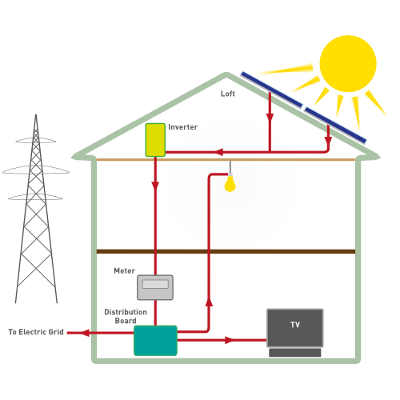 Your home will use both electricity from your Solar Panels and from the electricity grid. When you generate more solar electricity than you are using, the excess is automatically supplied back to the grid. Best of all you’re paid for generating solar electricity, irrespective of whether you use it or supply it back to the grid. Don’t be put off if you don’t have the perfect roof. We are experts at working around chimneys, velux windows or other obstructions. We received a prompt, professional and friendly service. 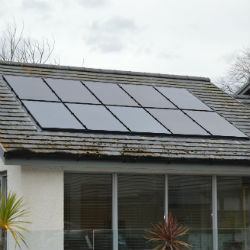 We are delighted with our PV system. Return is calculated using combined bill savings and subsidy earnings.  Bill savings are calculated using estimated energy usage and either the electricity price at the time of installation (18 November, 2014) or, for our heating products, the existing fuel type available to the property. Return is calculated using combined bill savings and subsidy earnings. Bill savings are calculated using estimated energy usage and either the electricity price at the time of installation (27 November, 2014) or, for our heating products, the existing fuel type available to the property.